It makes sense, because for most people, smartphones are the primary devices that they interact with, every day. Well, you’d be glad to know that there’s an app for that! Here, we’ll look at some of the most suitable alternatives for performing Reverse Image Search on mobile. When it comes to iOS apps for performing reverse image searches, Reversee makes it a point to be simple, yet effective. For selecting an image, the app offers a handful of options, including, browse image from Camera Roll, provide the image URL or paste it directly from clipboard. Next, you can modify the image before uploading it. These include options for lowering the resolution of the image (to save you some valuable bandwidth), cropping the image to upload only a portion of it, and a few more. Once the image uploaded, the app will redirect to the Search Results page, where you may take various actions, such as, open the webpage in Safari or Chrome, Add it to Reading List, Copy URL to Clipboard, Send an Email with the URL, etc. Download and install Reversee app from the App Store. Launch the app and pick the specific image that you want to perform reverse search for. [Optional] Change the resolution of the image to be uploaded or crop a specific section of it. Tap on the search button to perform the reverse search in your preferred search engine (Google by default). Reversee also supports an iOS Extension to invoke the app from Photos, Safari, Chrome, or any other app that allows you to export an image or its URL. Reversee is available as a free download on the App Store. But there are a few in-app purchases available, which unlocks additional features and also allows you to search using multiple search engines (Google, Bing and Yandex). On Android, an app called Search By Image provides almost all the basic features as offered by Reversee on iOS. 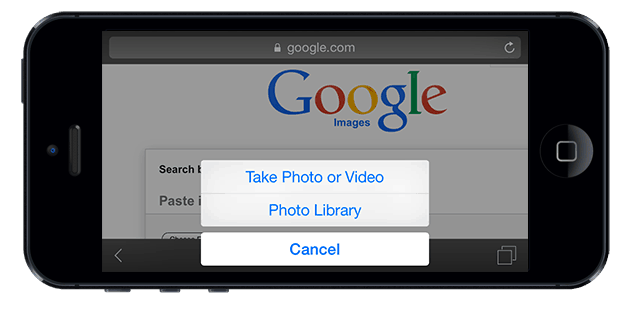 Like Reversee, Search By Image also gives you multiple options for importing photos into the app. You may snap a photo and search for it, pick one from your photo gallery, or share an image from other apps like WhatsApp, Facebook, etc. Once imported, you can crop or rotate the photo before uploading it for reverse image search. Finally, the app offers you a choice between two search engine providers — Google and TinyEye — for performing the reverse search. Download and install Search By Image from Google Play Store. Launch the app and pick your image for reverse image search. You can either snap a new photo, select one from Gallery or even import from other apps. Once the photo is imported, you can optionally crop or rotate it before uploading for reverse image search. Tap on the Search button. Your selected image will be reverse searched in your preferred search engine (Google or Tinyeye). From the Search Results page, you can copy the page URL, open it in browser or share the same to other apps. Search By Image is available as a free download on Google Play Store. If your mobile platform does not provide any suitable app for reverse image search and you’re left with mobile browser as the only option, you can try this mobile-optimized web tool. It’s a simple tool that allows you to upload photos and get Reverse Image Search results from Google. The tool is compatible with all the modern mobile web browsers, like, Google Chrome, Safari or Firefox. Launch your mobile browser on your smartphone. Type “www.google.com/ncr“ on the address bar and tap Enter key. This will open Google.com. Request the desktop version of the website from the browser. This option might vary according to the specific platform and browser you’re using. Your mobile browser should now load the desktop version of Google. Go to Google Images by tapping on the Images tab. Tap on the Camera icon on the search bar to open Search by Image. 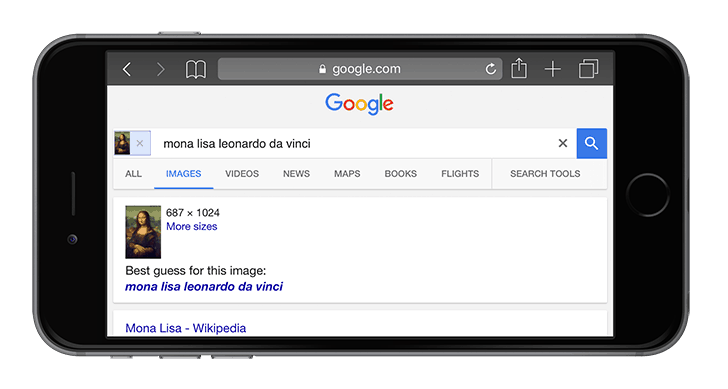 If you want to search using an image URL, just paste the link in the Paste Image URL tab and tap on Search by image button. Alternatively, if you want to upload an image for searching, go to the Upload an Image tab and select Browse option. Depending on your mobile platform, you should now be able to browse your local files for upload. Select the file and hit the Upload button. Relevant search results will be displayed for the selected image. CamFind (iOS/Android – Free) – CamFind is a multi-purpose visual search engine that can photograph, identify, and provide information on any object. Some of the features include image Search, QR Reader, Price Comparison & Barcode Scanner. Reversee (iOS – Free) – Reversee is a reverse image search engine for iOS that uses Google Search by Image with photos shot with the Camera or present in your photo albums. 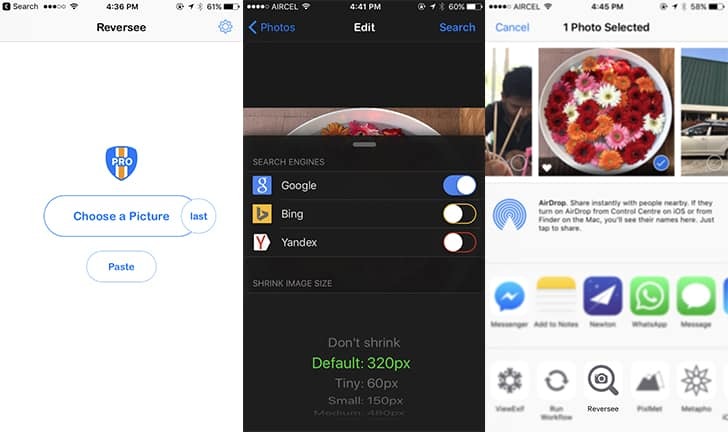 Veracity (iOS – Free) – With Veracity, you can perform reverse image search by using pictures from multiple sources like Camera, Photo Library, Dropbox, Clipboard, etc. Unravl (iOS/Android – Free) – Unravl helps you to unravel details about a particular image, such as browsing similar images based on color or shape, finding other sources of the same image, or even getting a verbal description of the image. Google Goggles (Android – Free) – With Goggles, you can scan barcodes or QR codes to extract information. It can recognize objects. You can also translate text by taking a photo of text written in foreign language. Other features include Optical Character Recognition, solving Sudoku puzzles, adding contacts by reading business cards or QR codes, etc. Bing Vision (Windows Phone – Pre-installed) – It is similar to Google Goggles and uses your Windows Phone Camera to recognize and translate texts, or scan QR codes to get information. Reverse Image Search (Windows Phone – Free) – Search by Image app for Windows Phone devices that is powered by Google, Bing, TinEye and Yandex. Do you think we missed a better reverse image search app or mobile app? Let us know in the comments below. * Google and the Google logo are registered trademarks of Google Inc., used with permission.